We believe that weddings and events are exciting. Passionate. Personalized. And most importantly, FUN! Though we typically focus on planning with our clients from start to finish, we also love attending and partaking. Who doesn’t? While attending events can be exciting and memorable, total preparation before the event is also critical. One pattern we’ve noticed is that guests can get quite lost knowing what to wear to an event even when given a dress code. This inevitably causes stress, anxiety, and general confusion. Luckily, we cover practically every type of event under the sun and can help you decode what to wear to any of them! For starters, on an invitation that you will receive for an upcoming event, you may notice words such as: Black Tie, White Tie, Festive, Black Tie Optional, Semi-Formal, Cocktail, Smart Casual, Business Casual, Garden Attire, or Beach Formal. These signifiers are a direct giveaway about what type of event setting to expect. 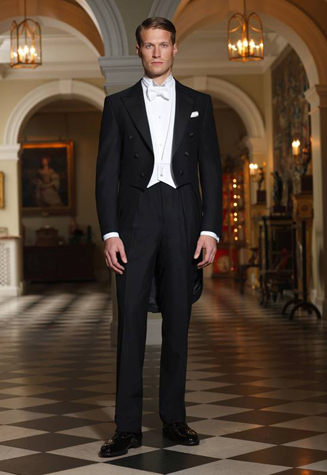 White Tie and Black Tie are likely going to be very luxurious, formal events, such as high-profile weddings or galas. Black Tie Optional, Semi-Formal, Cocktail, Beach Formal, and Garden Attire are still going to be formal events, but you won’t need to worry about finding a ball gown. Smart Casual, Business Attire, and Festive are going to signal events that are more casual, for example, a corporate holiday party or networking event. Each event will vary in how formal guests are expected to dress, which is why dress codes are essential. If a dress code is not listed on the invitation, take into consideration the location of the event and personality of the host/hostess. For example, if you get invited to a destination wedding on the beach in Cabo, you will most likely want to dress Beach Formal. If you get invited to an event hosted at a mid-range restaurant by your friend that you have never seen wear anything dressier than a pair of jeans, then you may be safe dressing in Cocktail, Smart or pulling a complete safety and attending "straight from work" in Business Attire. MAE's Tip: If your invitation has no dress code listed and you cannot get an impression of the formality of the event, do not hesitate to simply ask the host/hostess of the party when you RSVP. We always suggest that it is better to be overdressed than underdressed for any occasion! Now that you've had a minor introduction to event dress code, let’s jump right into the specifics. A White Tie event is going to be the most formal event that you attend. These are galas of the highest standard: state dinners, formal charity balls, royal or presidential dinners (if you are so lucky!). For men, a tux is essential. Think: bow ties, tailcoats, trousers/dress pants, formal collared shirts, cuff links, vests, gloves, and black dress shoes with matching socks would be appropriate. For women, formal floor-length evening gowns, elegant heels, fine jewelry, a small clutch, gloves or shawl (optional) are recommended. MAE's Tip: If you can spare extra funds on a White Tie Event, start your hunt in advance and don't be shy to shop the sale racks of higher end retailers like Neiman Marcus, Sak’s, Barney's and Nordstrom. We bet that you will find some steals! If this doesn’t fit your budget, consider renting a gown from Rent the Runway or menswear at The Black Tux to save, especially if you plan to wear only once or twice. Black Tie affairs tend to be the more common of formal event dress codes. Black tie events may include weddings, galas, or anniversary parties. Men should wear tuxedos and trousers, cuff links, a formal collared shirt, and leather dress shoes with socks. Don't be shy - Consider breaking out that bow tie, cummerbund or vest! Women should wear either a floor length evening gown or formal cocktail dress, elegant heels, a small clutch, and accessorize with jewelry. MAE's Tip: If you decide that renting a tux is necessary in the case of a Black or White Tie event, here are a few very important things you can do to take your rental up a notch. Get properly fitted. There is nothing worse than a loose-fitting tux or suit. Step up the bow tie or tie game outside of a rental inclusion. Your rental oftentimes includes a standard tie but we suggest diving a bit deeper and accessorizing with a higher end tie that ups the ante! Top things off with a pocket square or lapel pin. Boom - You look fab! Black Tie Optional events tend to be very similar to Black Tie events. The key difference for men is that they could wear a dark suit, dress shirt, and tie instead of a tuxedo if they wish. For women, the option of formal separates is introduced, but we still recommend either a floor-length or formal cocktail dress. Basically, the PRESSURE is off! Semi-Formal events are strikingly similar to Black Tie optional events. The main detail that separates the two types of events is that semi-formal events are a little bit more casual than black tie optional ones. Semi-formal events do not expect guests in any capacity to wear floor-length gowns or tuxedos. Men’s attire should include a dark colored business suit with an optional vest, matching or coordinated trousers, dress shirt, tie, and dress shoes with socks. Women’s attire may include a cocktail dress, your favorite LBD (Little Black Dress! ), or formal separates. Heels, nice jewelry, and clutches are encouraged. Cocktail Attire may quite possibly be the most popular dress code for events. Cocktail parties and engagement parties are two examples where you may find this dress code to be listed. Men are recommended to wear suits, dress pants, tie or no tie, dress shirts, and dress shoes. Nice jeans in a dark wash, a dress shirt, and a blazer are acceptable as well. Women are recommended to wear their favorite LBD or formal pants with a nice blouse. Formal jumpsuits and heels fit into the mix as well. Accessories are favored and always take things up a notch! Beach Formal and Garden Attire events are very similar in dress code. Beach Formal attire is typically encouraged at beach weddings and Garden Attire events commonly consist of engagement announcement parties, baby showers, polo events and the like. The difference between these events has a lot to do with the environment (ocean and sand vs. sunshine and grass). 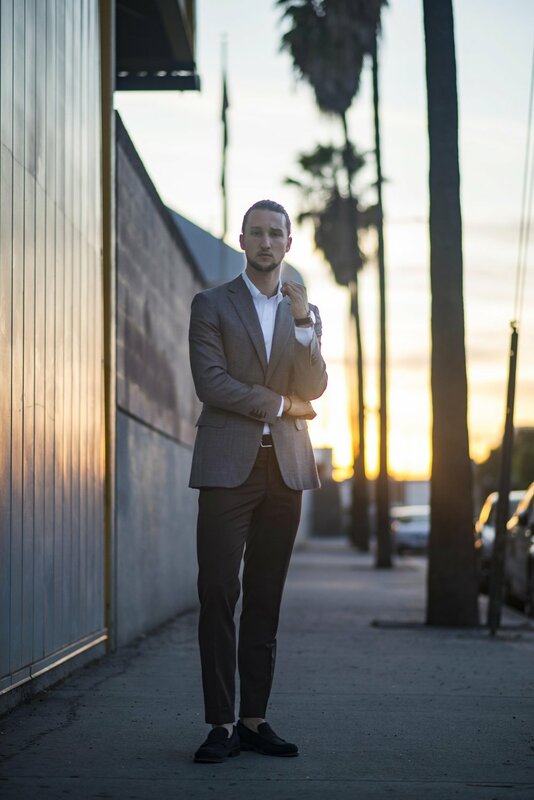 For men, the dress code for these events can range anywhere from a linen shirt and dress pants or khakis, to a dress shirt and light-colored dress pants. For women, there are a lot of options. Maxi dresses, tea-length dresses, or formal sundresses are all recommended. Wedges and formal sandals are encouraged. Festive events are going to be the easiest events to dress for. Halloween party? Wear a costume. Christmas party? Wear a nice sweater or sweater dress in a holiday color with heels. Be as festive as you want. When in doubt, opt for something at the cocktail attire level, but a little more casual. For a little pick-me-up, add a statement necklace! Business Attire is typically going to be found at events hosted by the company you or your significant other work for. Luckily, with this type of event, anything professional that you wear to work (outside of Casual Friday) would be appropriate. For men, dress shirts and dress pants. For women, tailored shift dresses or pantsuits. MAE's Tip: If you are unclear of what is appropriate, grab a transitional blazer that can be kept on or taken off depending on the level of formality. Smart Casual may also commonly be seen as “Dressy Casual.” Men are encouraged to wear polos or button-up shirts, quality jeans, or dress pants. Well-made sweaters may be recommended in the colder months. Women are encouraged to wear dress trousers or quality jeans with a nice blouse, or a casual dress. We recommend the popular midi dress for women. Casual events are nothing to stress over. Your best bet: Dress as if you are going out to dinner with your significant other and their parents. You still want to look nice, but almost anything will work. Avoid slogans, holes, and tears in clothing and remember, always put your best self forward! We hope that our details on dress code decoding helps you prepare for any special occasion you are invited to attend! Feel free to bookmark this page on your phone or computer to come back to as reference. To see how Marquette Avenue Events can help you plan your next wedding or event and help you achieve your vision (not to mention, dress code dreams! ), please visit us at www.marquetteavenueevents.com or call us at 312-585-7265.